Addressed as Heaven on Earth, Kashmir is the most beautiful, exotic and happening tourist destination. Kashmir has spectacular landscape that range from snow-capped mountains to green valleys, many a rugged terrains, beautiful and mesmerizing lakes. This is why Kashmir is considered as wonderful summer getaway. Well, you will not find any less number of tourists in winter. Kashmir looks almost a fairyland when it is winters. Although Manali-Leh Highway and Leh-Srinagar Highway closes down in winters, there isn’t any dearth of places to visit and check for winter vacations in USA. Tourists are attracted towards the snowy path for skiing delight. The rivers and lakes get frozen and are wonderful for trekking. 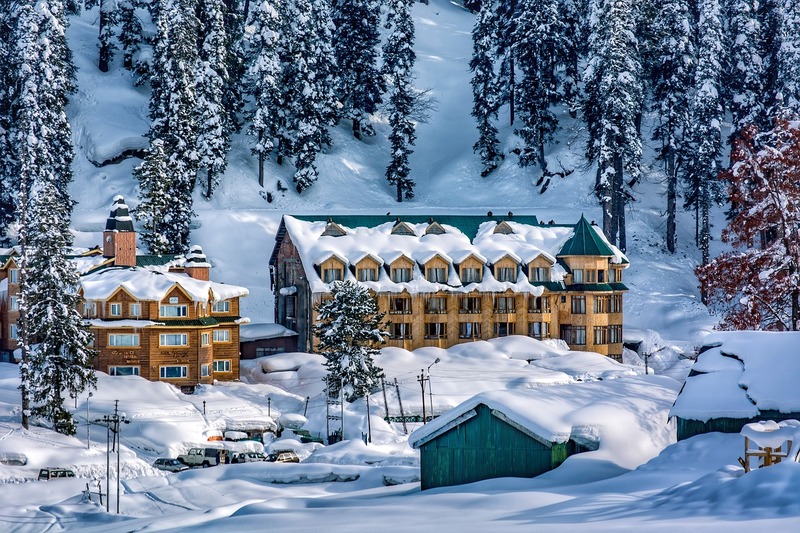 Whether you want to take adventure activities in Kashmir or want to tour Kashmir for a weekend getaway, there are plenty of places to visit in Kashmir when the temperatures moves below the freezing point. The entire region gets covered in blanket of snow. There are pine trees, stunning escapades bejeweled with beautiful mountainous peaks at the backdrop. If you want to experience adrenaline rush in Kashmir, why not visit Gulmarg, Asia’s seventh leading skiing destination. 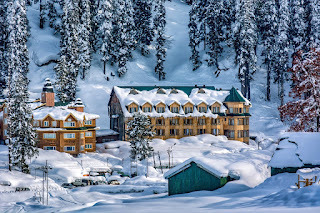 There are steep slopes positioned amidst spectacular mountain views, and the leading ski area is referred as Gulmarg Ski Resort. Apart from skiing, you can indulge in cable car riding and fun activity like trekking. A visit to Khyber Himalayan Resort and Spa will create lifetime memories. Pahalgam in Kashmir is popular for the very famous Amar Yatra Pilgrimage. It is beautiful and most of the people says Pahalgam is the hidden gem of Kashmir and addressed as the ‘Valley of Shepherds’ and is blessed with bounties of nature. Pahalgam is popular for beautiful green pastures, stunning rivers, mesmerizing lakes, pine trees, dense forest. The landscape in Pahalgam resembles almost a fairtytale. During the winters, it is the most picturesque places in Kashmir. When it is winter season, Zanskar is most beautiful and its charm cannot be described in explicit terms. Zanskar River gets frozen during winters and it becomes the path permitting an access to Pristine Zanskar Valley. It is popular for the most famous Chadar Trek. Frozen Zanskar Trek is the most challenging and beautiful trails. It involves the crossing of the river and hence it is dangerous. Experienced trekkers love to visit Zanskar during winter. It may take around 15-20 days to complete the trek. As you step on Zanskar River, you feel as if entering the Ice Age. Chadar Trek is the most popular attraction in the entire Kashmir. Sonamarg implies ‘the Meadow of Gold’ as the place is nothing but plain stretch of breathtaking beauty. Sonamarg is at the height of 2700 meters. The place is the most scenic in the entire Kashmir to explore. Sonamarg acts as the leading trekking route which passes along mountain lakes like Gadsar, Satsar, Gangabal and others. Are you an animal lover? Visit the famous Dachigam National Park. It is the home to Kashmir Stag or Hangul. The place is really versatile to visit. You may take short walk amid the picturesque nature or may move through the thrilling and enticing trekking trail. Its beauty and charm is unsurapassble with golden hue turning into the sea of white. Sonamarg is one such place which is sure to enchant you to the fullest. 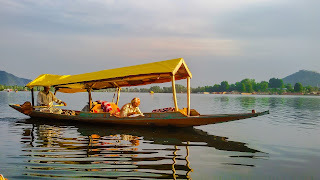 Srinagar is the best place in the entire Kashmir where you may go at any point of time. The locale becomes scenic when it is winters. 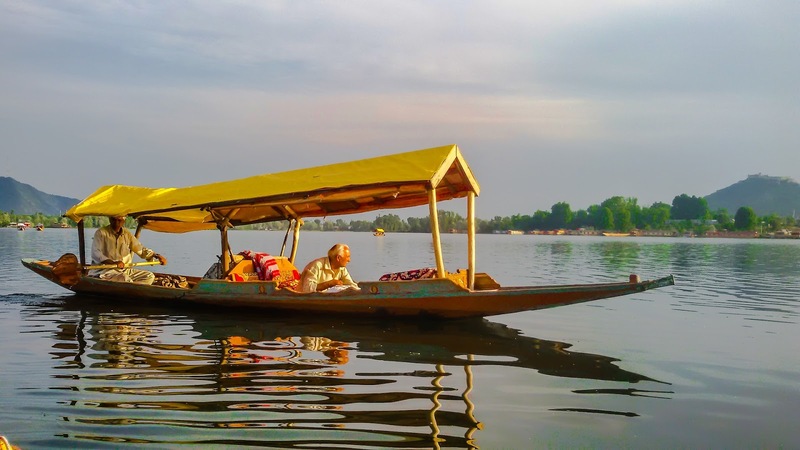 In Srinagar, you can’t miss out Shikara ride upon the enchanting Dal Lake. When your boat moves through the snowy ways, you will see awesome sights of scenic surrounding. Spectacular garden will mesmerize you to the fullest. Some of the popular ones are Nehru Garden, Shalimar Garden, Nishat Garden and Tulip Garden. If you are an animal lover, you should visit Hemis. Although you may visit Hemis even during summers, winter holds special charm. You may spot the rarest of birds and animals in Kashmir during winters. Herein lays the specialty of traveling to Kashmir in the colder months. You can enjoy plenty of fun activities in Kashmir like hiking, skiing, paragliding and wildlife watching.